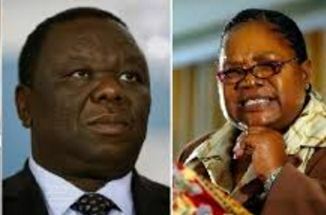 Former Zimbabwe Vice-President Doctor Joice Mujuru has endorsed MDC-T party and its leader Morgan Tsvangirai as the best available tools to take on President Robert Mugabe in next year’s election. Mujuru, who now leads the National People’s Party (NPP) following a nasty fallout with Mugabe in 2014, yesterday told followers in Masvingo that Tsvangirai had the political clout and commanded a large following. “We agreed that one opposition presidential candidate, representing all parties, will stand against Mugabe,” she said. “We also agreed on the leader of the coalition, the qualities, the expectations of that person before and after the polls. That person should be a unifier, someone who does not backtrack or sell out and should carry the ideals of the coalition. And that person should have the confidence of the majority. 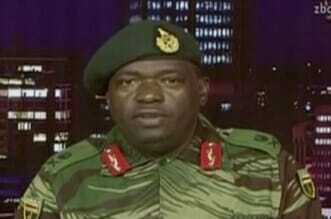 “We said the MDC-T is better at mobilising people. There is no other party, apart from NPP and the MDC-T, that can mobilise a lot of people apart from Zanu PF itself. “There are a lot of parties, but some of the parties were created by some handlers in the government to cultivate a false sense of multi-party democracy, so whatever those parties do, they want to please their boss (Mugabe). Meanwhile Mugabe has warned his divided Zanu PF that internal protests and twitter wars will seriously harm the party ahead of 2018 elections. 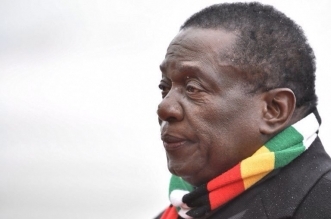 “The protests actually arm opposition parties to denigrate the ruling party,” he said while addressing the Central Committee meeting in Harare today.